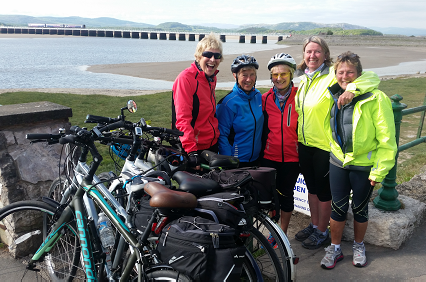 £50,000 has just been awarded to Morecambe Bay Partnership to cost and explore the opportunities of a walking and cycling route alongside Arnside viaduct. This connection will create a vital link in the English Coastal Path, and offer a new route for the Bay Cycle Way creating a new circular route starting from either Grange or Arnside stations. Evidence from other long distance cycling and walking routes suggest that more walkers and cyclists could bring a very significant boost to the local economy. Susannah added, “We need to know how much the crossing would cost, what the challenges are, and what the additional benefits would be in terms of visitor spend.” Network Rail has supported initial feasibility and will work with our partners to evaluate and test the route, economic impact and costs. Partners include: Morecambe Bay Partnership, Arnside to Grange Community Group, Arnside & Silverdale Area of Outstanding Natural Beauty, South Lakeland District Council, Cumbria County Council, Lake District National Park, Natural England, Sustrans, Cumbria Rail Partnership, Dallam Estate, Holker Estate.